In transportation, almost everyone talks about the need to put safety first, but when given the choice between cutting costs and lowering standards, some companies choose wrong. 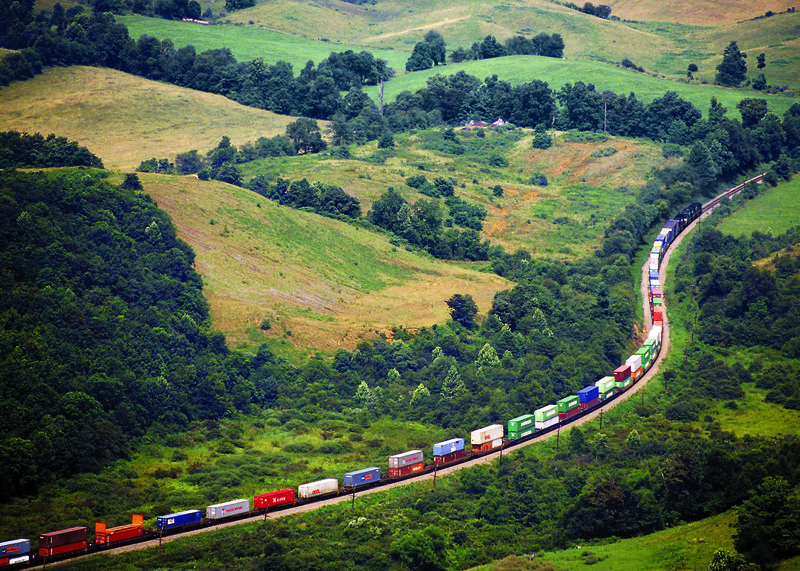 That is what we are seeing in the freight rail industry’s efforts to reduce crew size. Today, nearly every freight train in America is operated by two crewmembers: a conductor and an engineer. The industry would like to cut that in half and run mile-long trains weighing 19,000 tons, some carrying hazardous materials, with a single crew member. If you think that sounds like a terrible idea, you are not alone. Senator Heidi Heitkamp (D-ND) has recently introduced legislation that would require two qualified crewmembers — a conductor and an engineer — on all freight trains in America. Operating a freight train is not a simple task. Crews must be well trained and comply with a host of federal regulations. Crewmembers must constantly communicate with each other to ensure safety rules and procedures are implemented correctly. This is even more critical given operating employees face chronic fatigue problems due to unpredictable work shifts. Giving crewmembers less support and backup makes no sense. A single crewmember cannot perform all of these tasks and maintain the highest level of safety and respond to an emergency. Just ask 15-year BNSF conductor Mike Rankin, who shared his harrowing story of how two freight rail crewmembers worked together to save someone’s life — a feat that would have been impossible had just one person been operating their train the fateful night of December 23, 2004. When the train Rankin and his colleague were operating hit a car that bypassed crossing gates, all three passengers in the vehicle were ejected. Two died instantly. The third, barely alive, needed immediate medical attention. An ambulance was on the way, but Rankin soon realized the ambulance was on the wrong side of the tracks. The only solution was to separate the train at the crossing so the ambulance could drive through — a maneuver that requires two people to execute. Ensuring two crew members are at the helm of our nation’s freight trains isn’t just a no-brainer. It is an idea the public fully supports. Polling shows Americans across the country, in both red states and blue, want freight trains to be safe, and agree that at least two people are needed to operate these mechanical behemoths. Sen. Heitkamp’s legislation takes our nation’s freight rail industry in the right direction. With similar legislation in the House, members of Congress must now find the will to put safety ahead of profits and ensure freight trains are fully staffed.